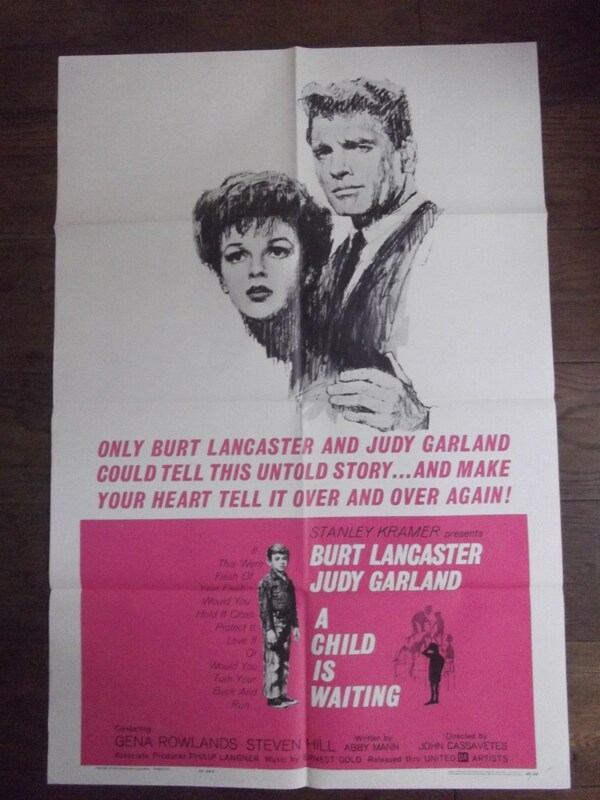 Film Description: A Child is Waiting (1963) Drama directed by John Cassavetes and starring Judy Garland, Burt Lancaster and Gena Rowlands. Added Info: Beautiful artwork of Judy Garland. 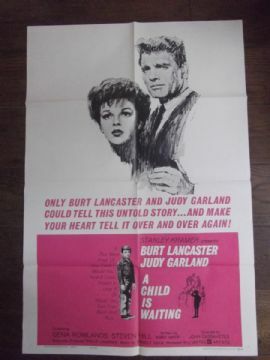 Overall Condition: This vintage movie poster is in Fine- condition. It measures approx 27" x 41"